"My Apple TV is stuck in sign in loop after an update, how do I get it to allow me to initialize again?" "I find it pretty disturbing that my new Apple TV is stuck in a sign-in loop, please tell me how to get out of this?" If you are facing this particular problem or any other problems with Apple TV, the first thing you should do is to restart the TV. It can be done from the settings or by the remote or just by unplugging the power cord for a few seconds. Well if you bought the fourth generation Apple TV then just go to the "Settings", there you will find "Restart" under "System". For previous generations of Apple TV, you will have to find "Restart" under "General" which can be found in the "Settings". 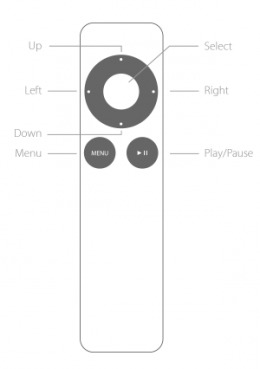 If you wish to restart with the remote, then hold the Down and Menu buttons together for a few seconds, a light on the device will start to flash. Just unplug the TV and wait for some time. Then restart it again. Finally, if the settings menu and the remote have failed you, then it is time to unplug your TV then wait for 10 seconds and then plug it in again. If this doesn't solve the issue, follow the steps below. Many times, after an update, the Apple TV keeps asking for Apple ID verification. If you are experiencing this, it is because of the 2-point authentication. This code is basically an extra layer of protection to safeguard all your personal data. All of the problems regarding signing-in are the result of a 30-second timeout that is encrypted on the 2-factor code. The code gets expired before, you enter your Apple ID password and it gets stuck on a loop. The trick here is that you should get the 2-factor authentication code after you type in the Apple ID password. First, get hold of your iPhone or your iPad and your Apple ID. Now to Settings, and then to iCloud. Now tap on "Password & Security" and select "Get Verification code" to get the six-digit code. After you get the code, just add the code to the Apple ID password and you will be good to go. First of all, run the program on your PC and connect the TV to your PC. After detection, simply, select "Enter Recovery Mode" to start the fixing process. When the Apple TV enters the recovery mode, you will be greeted with an iTunes logo and USB logo. Now after the process ends, just tap on "Exit Recovery Mode" and reboot will start. Wait for completion and you will have your TV back to its normal state. We hope this will solve the "Apple TV keeps making me sign in" issue. If simple entering and then exiting recovery mode does not repair the stuck, I will suggest you click "Fix All iOS Stuck" on ReiBoot for a system recovery. It will download the firmware and recover the system on Apple TV to fix the stuck thoroughly. Overall, these are some ways by which you may get your signing-in issue with Apple TV effectively covered. Compared to other methods, ReiBoot is a easier one to implement and works effectively as well. If you like this article, don't forget to share and comment below!